On your special day, you’ ve spent a packet on making sure everything is perfect – you wouldn’t hire an amateur photographer or caterer, why try and cut corners on a DJ who might not show up, or when he does, the music selection is terrible or his laptop crashes during the first dance? Make sure your evening goes off the way you intended by hiring DJ Wanye – somebody with proven experience in keeping a busy and happy dancefloor. 80% of the weddings and events I have covered in the last 5 years have been through word of mouth recommendations from happy clients. 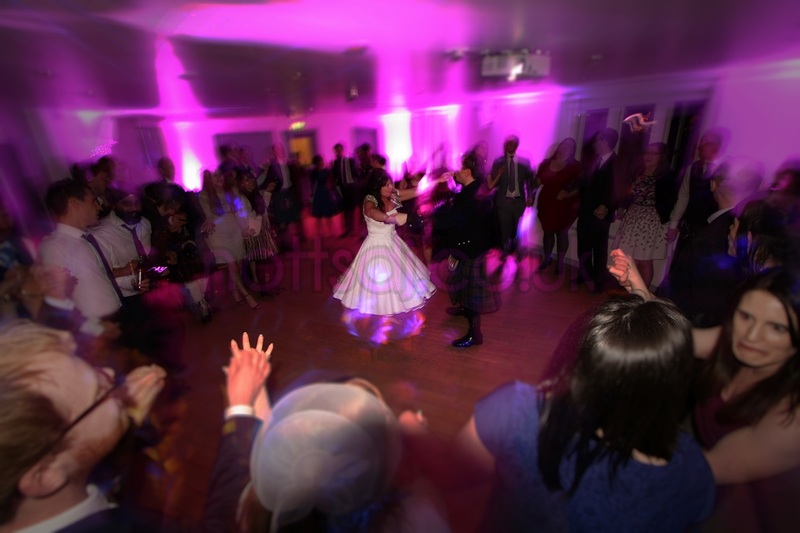 I’m not your average ‘Cheesy Wedding DJ’, Microphone work is kept to an absolute minimum unless requested – I let the music do the talking, and the Client(s) are asked for a list of songs/styles they definitely DON’T want to hear. There’s nothing worse than hearing a band you truly hate being played at your own wedding! – The amount of times in the past I have been asked to specifically NOT play “Agadoo type cheesy mobile disco rubbish” or specifics such as “absolutely no Celine Dion or Coldplay!” is startling! As a successful pop/club DJ, i know where the boundaries are, and how to keep a crowd/dancefloor happy. When your club reputation is based on being able to keep a busy dancefloor all night, you soon learn what will and won’t work at an event. I generally cover the Nottinghamshire area for events, but am willing to travel if the event requires it. Wedding venues covered have included Swancar Farm Country House, Carriage hall (Plumtree), Clawson Lodge (Sherwood), Hazel Gap Barn, Thoresby Hall Courtyard, Pears Hall (Repton), Eastwood Hall, Woodborough Hall, Chatsworth House (Derbyshire), Stubton Hall (Newark), Nottingham Contemporary, Inkersall Grange, Risley Hall Hotel, The Walled Garden (Beeston Fields Golf Club), Eastwood Hall, Woodborough Hall, Ringwood Hall (Brimington, nr Chesterfield), Harts (Nottingham), Rufford Mill, Stoke Rochford Hall (near grantham), Donington Manor Hotel (Castle Donington), The Park Inn (Nottingham), The Old Vicarage Boutique Hotel (Southwell), Ruddington Grange Golf Club, Strelley Hall, Holme Pierrepont Hall, Rock City, Rescue Rooms, Stealth, as well as other assorted clubs and venues in Sheffield, Manchester and Leicester.